With 44% of men and 39% of women now being diagnosed with cancer, it has become more important than ever to understand the foods that will not only nourish your body, but also detoxify it of any cancer causing agents. Here are some of the most potent cancer healing foods and herbs, and how you can use them so your body can do the work of healing itself. Kelp, kombu, and nori are three of the more common sea vegetables with remarkable effects on cancer. They are one of the richest and most bioavailable sources of iodine, a substance lacking in the average diet that is implicated in many patients with breast and ovarian cancer. They are also rich in calcium and potassium, as well as all minerals, which assist in promoting a very alkaline environment, which makes it very difficult for existing cancer to survive. You can use sea vegetables in soups, salads, and smoothies. For a great formula that doesn’t make your smoothie taste like seaweed, check out Total Nutrition Powder. Chlorella and spirulina are two of the most potent algae and are proven cancer fighters. Due to their incredible detoxification action (including binding to and eliminating heavy metals) and immune boosting properties (by promoting production of healthy gut flora and fighting candida overgrowth), they are a must have when healing cancer. They also contain the entire B-vitamin complex, Vitamin A, C, E, and K, and are one of the whole food sources of vitamin D.
Algae is also an exceptional source of iron and zinc, as well as magnesium, phosphorus, calcium, and potassium. Also, the antioxidant and oxygen content of algae is through the roof. One of the most potent sources of chlorophyll (the life blood of plants), it is also rich in beta carotene, lutein, and polysaccharides. You can take algaes in liquid, capsule, or powder form. Again, Total Nutrition Powder can provide you with an exceptional source. It appears that a phytochemical called sulforaphane can stimulate enzymes that detoxify carcinogens before they damage cells, as well as indole 3-carbinol and crambene, which are also suspected of activating detoxification enzymes. Fermenting these vegetables multiplies their benefits and helps aid a sluggish digestive system that is typically an issue with those suffering from cancer. Get a basic recipe, here. Medicinal mushrooms such as reishi and chaga have had a number of bioactive molecules, including anti-tumor agents, identified in their structure. These bioactive compounds include polysaccharides, alkaloids, tocopherols, phenolics, flavonoids, carotenoids, folates, ascorbic acid enzymes, and organic acids. Studies show that long-term consumption of reishi prevents tumor proliferation and growth by increasing the level of antioxidants in an individual’s blood plasma while boosting the immunity of those suffering from advanced stage cancer. Medicinal mushrooms can be mainly used through capsules, powders, and teas.For a nice complex,check into this powerful product. Research shows strong immunomodulatory and anti-tumor properties for polysaccharides in aloe vera, which means it boosts immune system function and destroys cancer tumours. A study in International Immunopharmacology showed that aloe vera polysaccharides exhibited potent macrophage activating activities including producing increased volumes of nitric oxide, which has anti-tumor potential. Aloe vera also has over 20 minerals, 12 vitamins, 18 amino acids, 200 active plant compounds, and strong antibacterial, viral, and fungal qualities. All of these properties are important when fuelling the body to heal cancer. Aloe vera can be used in liquid and gel format, as well as capsules and powders. This formula contains aloe vera, and other cancer healing foods and herbs. Learn more about the benefits of aloe vera, here. The hemp plant contains some of the most balanced and richest sources of oils on the planet, with an ideal ratio of 3:1 for omega 6 to omega 3. Hemp seed oil also contains 80% essential fatty acids, the highest of any plant. Essential fatty acids are fundamental to immune function due to their antioxidants and anti-inflammatory fatty acids, which helps oxidize the cells and restores health at a cellular level. Since cancer cannot survive in a highly oxygenated environment, the superb EFA content in hemp makes it a great option for healing cancer. It is also a rich source of phytonutrients, antioxidants, and plant sterols, all which are effective against the natural treatment of cancer. Check into this organic hemp formula to take advantage of its benefits. The miracle nutrient appears to be the enzyme alliinase (a nutrient in the Allium genus) which produces the anti-cancer compounds. The key is to crush it and let it sit for 15 minutes in order to release these anti-cancer compounds. 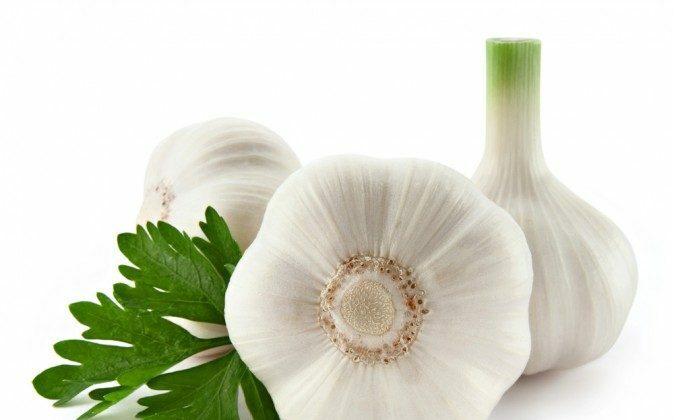 Garlic is also very antibacterial, viral, and fungal, which means it is exceptional for the digestive system, and therefore immune related diseases like cancer. Use it in juices, vegetable dishes, salad dressings, and everything in between. Learn more about the power of garlic, here. Hundreds of studies have also shown that curcumin is a potent anti-cancer food that blocks cancer development in a number of unique ways. One of the most potent healing actions of turmeric is reducing inflammation, the root of all serious disease. Once you are able to significantly reduce inflammation in all areas of the body including the digestive system, an alkaline state can start to take over. Cancer does NOT thrive in an alkaline rich environment. Use turmeric in juice, vegetable dishes, salad dressings, or in this total body tonic. Learn more about the benefits of turmeric in this article. Healing cancer can be one of the most intimidating diseases to do naturally, but if you put the right foods in your mouth and eliminate these cancer causing factors, you give your body a fighting chance in the battle against this terrible disease. Incorporating superfoods into your diet will have benefits on your waistline and overall health and wellness. Mushrooms: The New Go-To Food For Women Who Work Out? Eating mushrooms might make it easier to lose weight and exercise longer by controlling blood sugar, especially for women, a new study shows. Are you looking for ways to add cancer fighting foods to your diet? These 9 examples will get you started on the right path!